As of January 2018, employers in California can no longer ask candidates for their salary histories. Similar laws protecting job seekers from salary history discrimination have been appearing around the country in Delaware, Massachusetts, and Oregon, among other places. California’s new bill specifically prohibits employers from asking about an applicant’s previous pay orally or in writing, personally or through an agent. While 44 percent of employers that had already implemented the ban said doing so was “very easy” or “extremely easy” in a WorldatWork survey, these new and impending salary history bans are nonetheless changing how recruiters approach the talent sourcing process. For example, 84 percent of employers in that same WorldatWork survey said they rely on salary histories to evaluate a candidate’s pay expectations compared with the company’s pay levels. Major changes to employment legislation bring new obstacles to recruiters, especially those searching for top sales talent. However, with the right mindset and approach, sales recruiters can transform the salary history ban from an obstacle to a positive opportunity. All successful companies stand on open and honest communication. Without it, sales goals, internal and external relationships, and productivity would deteriorate. Of course, as a recruiter, you hope to start every candidate relationship off with honest communication. However, without a deliberate and strategic approach, you’re likely missing out on truly open communication. While the salary talk is uncomfortable, it forces everyone into a transparent conversation. Candidates will need to open up and speak honestly about pay expectations regarding everything from base pay to commission and bonuses. You’ll also be forced to dig into company benefits and, yes, even limitations. Through these deeper conversations, you’ll get an even clearer view of an applicant’s negotiation and communication skills, drive, and determination. Salary histories aren’t used solely for determining what companies will pay candidates. They’re also used to determine if an applicant will even consider a job offer based on a company’s pay capabilities. In fact, the WorldatWork survey found 80 percent of employers use salary histories to determine offers that candidates will find acceptable. With the salary ban in place, many recruiters fear they’ll be wasting time on candidates who won’t find the eventual job offers acceptable. Seen from another angle, however, the ban creates an opportunity to connect with sales candidates you previously wouldn’t have contacted. By removing salary from their initial considerations of job seekers, recruiters can connect with candidates based solely on their qualifications. This allows you to bring top talent into your pipeline — including candidates who may be willing to accept less pay for the culture or other company perks, or candidates who are confident they can make up for a salary decrease with impressive commission numbers. Biases exist. Whether they’re intentional or unconscious, they create major pay gaps. A recent Pew survey found women in the 25-34 age bracket earned 89 cents for every dollar a man in the same age group earned. Passing a candidate’s salary history from one employer to the next only perpetuates this out-of-control pay gap. Well-intentioned recruiters can accidentally take one company’s inequalities and propel them into their own placements based on a candidate’s previous employer’s pay structures. 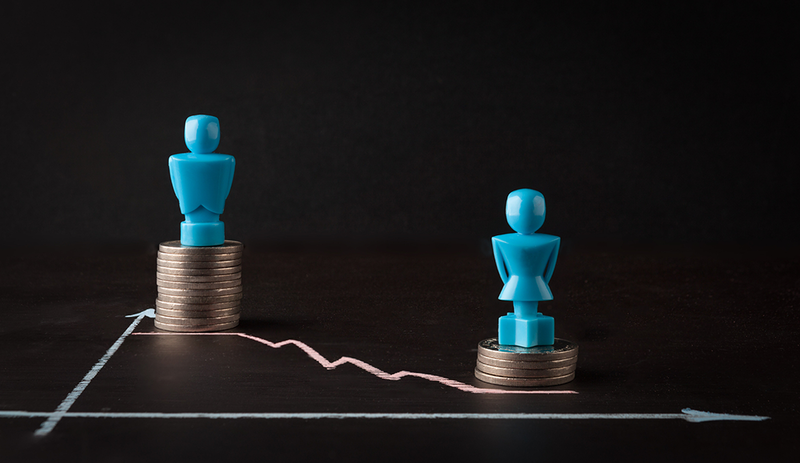 Without pay histories, it becomes easier to wipe out these biases — and, eventually, the pay gap overall. Recruiters can finally start every candidate out on the same, equal footing. Karyn Mullins is president of MedReps.com. Connect with Karyn on Facebook, Twitter, and LinkedIn. Like what you’ve read here? Check out Recruiter.com Magazine for more, including advice on how to boost email response rates by as much as 30 percent with the data-driven dos and don’ts of candidate email outreach. Karyn Mullins is the president of MedReps.com, a job board which gives members access to the most sought-after medical sales jobs and pharmaceutical sales jobs on the web.